We love having a light, reliable kitchen setup but hate cleaning burnt food from the bottom of our ultra-thin pots. 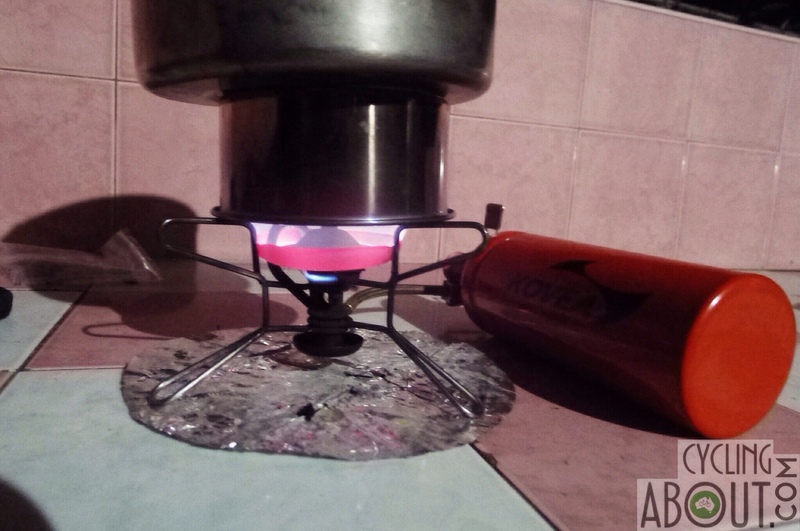 This is partially our pots fault, but our non-heat-adjustable stove is mostly to blame. 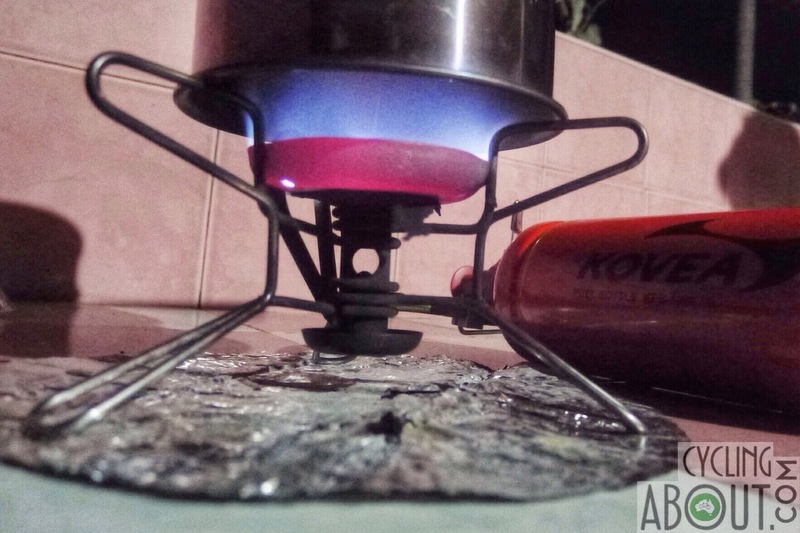 We use an MSR Whisperlite Internationale multifuel stove which has lasted years and years without a single problem. We literally use it 700x per year at the moment – it's bombproof! Our only gripe sometimes is that we can't change the heat level while we're cooking. 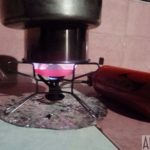 Why don't we use a heat-controllable gas canister stove, or a MSR Dragonfly or Primus equivalent? 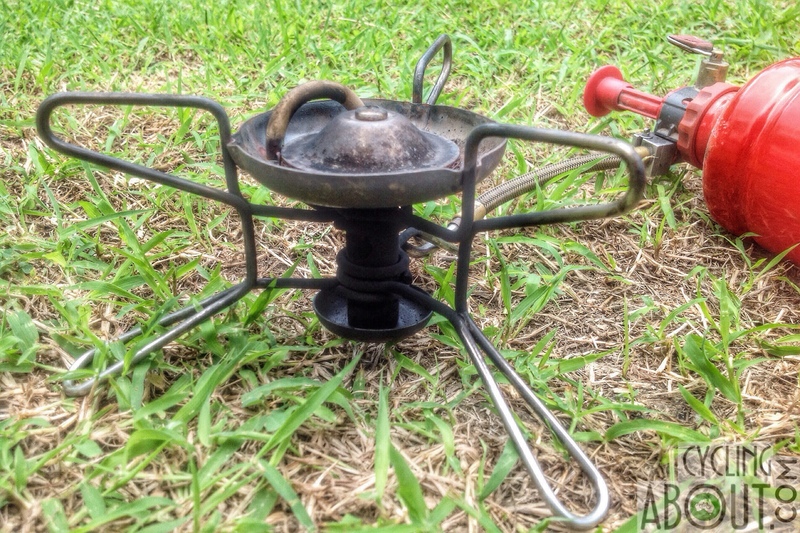 We already had the Whisperlite long before our multi-year trip, but we also like that it's super quiet compared to other multifuel stoves, lightweight, small and an easy rebuild. Another bonus is that we never have to locate gas canisters! Our fuel choice is petrol, as it's easy to come by, cheap and isn't wasteful of aluminium cans. 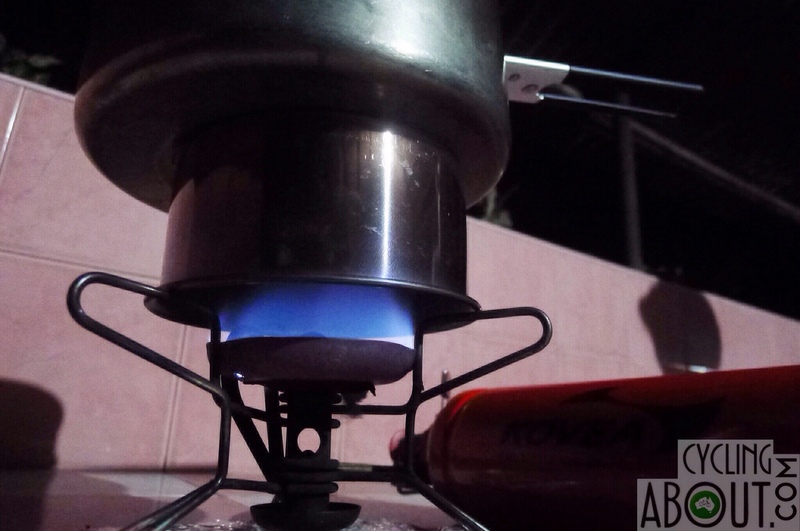 If you know your Whisperlite well, it's possible to pressurize it to a low level (for simmering a curry) or high level (for boiling water) when you start it up. But once it's on, you can only increase the pressure and therefore the temperature. This way of adjustment unfortunately doesn't allow us to boil veggies first, then simmer our curry later. There is a minimal amount of adjustment at the control valve too, but it's not enough to simmer. Make sure to read our full review of the MSR Whisperlite Internationale for more information. Our solution is what we call the SIMMER RING. 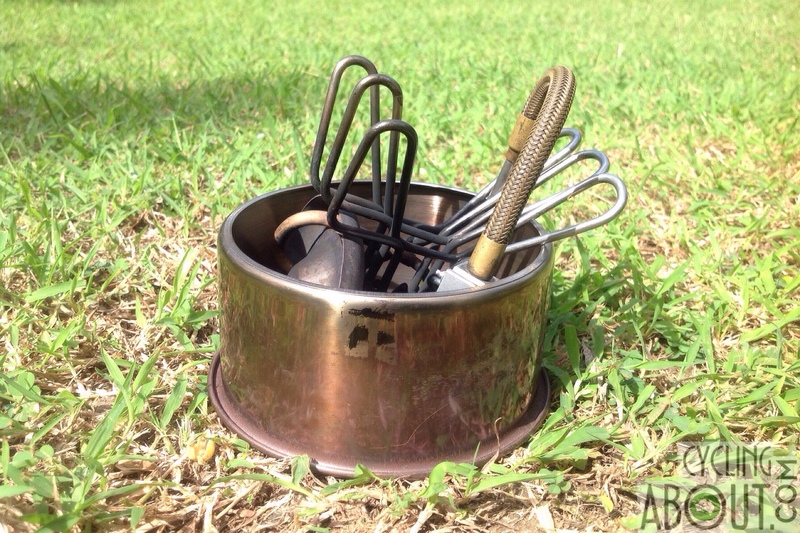 The simmer ring provides a distance buffer from the flame, which we've found to be highly successful for meals that need a slower cook, or are susceptible to sticking. 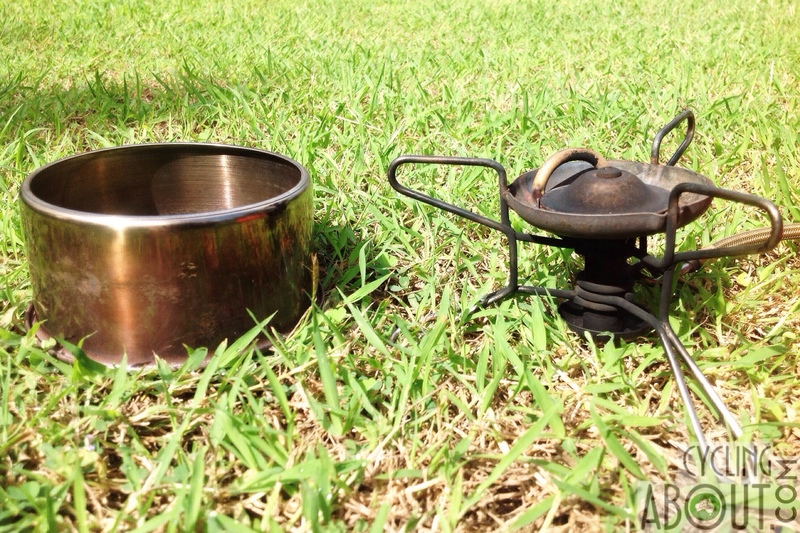 The simmer ring can be found for as low as $1 (we found ours at a 100 yen shop). We use a stainless steel cake tin with a removable bottom, but you could easily use a metal steaming lid with the mesh cut out. Note: The idea to do this came from Benjamin and Anne who are cycling about the world.